Feed is good thing part 2 - General Discussion - Mobile Legends: Bang Bang - Powered by Discuz! Do you know how many credit i lost ? My goal is epic rank. First time i got fun in this game really. Do you know what is funny at this point ? 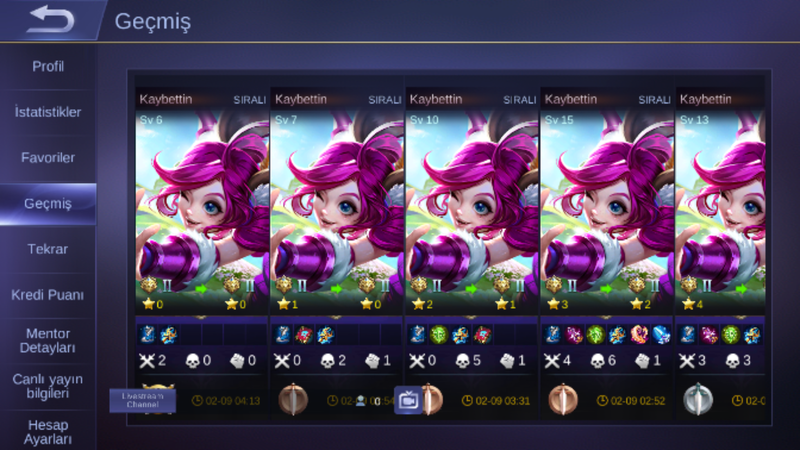 Players using bad words to me and MLBB they are reporting me etc.. 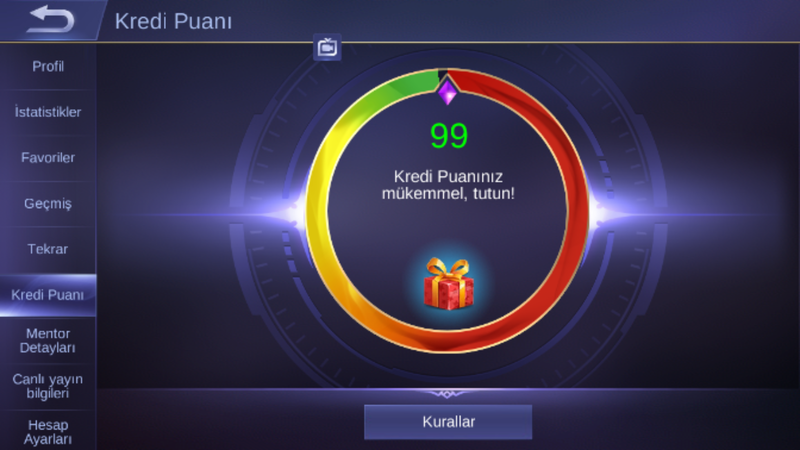 When they report me , system message write them " we will punish him.he ( me ) will have hard penalty bla bla... "
But i have only 2 credit penalty. Lol hahaha really . Some of you think i am sarcastic.But you dont know MLBB system message is sarcastic.System message kidding with players. Btw , i will record a video about " feed is good thing "
I want to start new event in MLBB. It is " feed is good thing "
Uhh i forgot to add my credit after 15 feed.Thank you. Out of 10 viewable matches, only 2 of them are confirmed as feed. The rest are just low skill gameplay where you didn't have to do anything at all since the rest of your team are that bad. Also, reports are not always automatic, some can take time but do go on with your campaign. I believe you can do better. Perhaps an average of 10 deaths (the more the better) and 0 kills/assist? Would be great too if the rest of your teammates are trying hard to win and all you do is feed. That's very perfect in recreating the problem many players are facing in ML today. Also, if you're planning to record it on video, please give us an HD quality so we can read the trash talk people throw against you. Perhaps do a 20 episode series and upload it on youtube? I got report back even after 1-2 days later. So lets wait and see if this come back to you or not. I dont directly feed because system detect you.I pick nana and i dont join teamfights,i steal blue , i decrease team morale etc.. I thought the main point of your campaign is to promote feeding? Yet you're not doing it directly because you're scared the system will DETECT you. So this proves that ML's punishment is enough to turn you into a chicken and you want other players to FEED for you because you can't do it yourself. I really think you need to LEARN what the definition of "Feeding" in-game is. The level of your ignorance knows no bounds. If you think feeders are feeding directly , it proofs you are .... 5 years old child even understand how system work as poor. Is it not enough for feed ? It is . It is FEEDDING. My 4 teammate report me but i have 0 penalty. Firstly , punishment system must work according to players reports.For example , if your 3-4 teammate report you after game , it means you are feeder.System must punish you.But it doesnt.Because system waiting you to direclty feed ( like born and go death ) . It is worst system. Secondly , i told you i dont feed direcly but actually i did in 4 of 10 game.Do you know what was my penalty ? Only 2 credit. 2 credit.... 2. 2. Last thing , i didnt open this threat to criticise MLBB penalty system.I open it for fun.What is your problem ? Please dont act as i criticise.I give up.Because DEVS dont care players. If they do , they would fix matchmaking issue since 7 month.Please stop being against me.It is not point of threat.